Ordinary number signature Phraya Man VF about 20,600 - 21,700 bath. 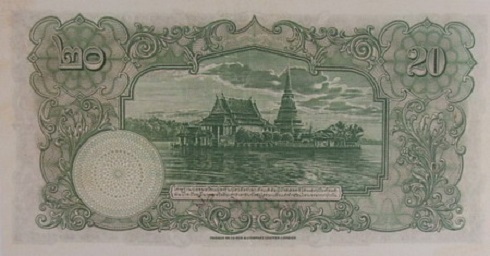 The 3rd series 20 Baht type 1 banknotes were announced on 4th September 1935. The main object is the image of King Rama 7 on the left. The middle image is a scene of a river community. The serial code and number were printed with red ink. 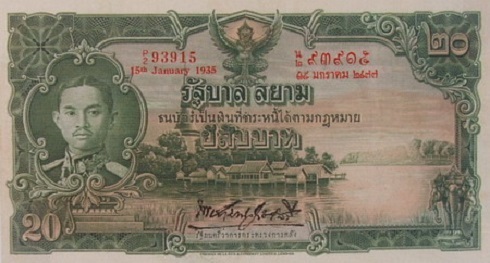 The date of banknote was printed in red under serial number.